Hey B-HO, what about that C-SPAN open and transparent thingy? Yeah, just another lie, poser. When you make promises while running for office, and you don’t even keep one of them, it says a lot about the kind of person you are. The world’s most arrogant and hypocritical people will meet in Copenhagen tomorrow to tell more of their lies. How can we take these liars and crooks seriously when they don’t even take what they are preaching seriously? But of course the biggest blowhard of them all won’t be there. 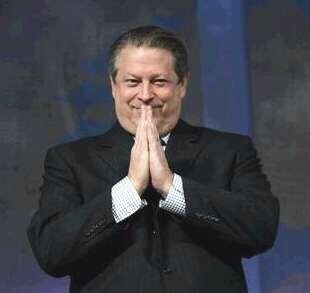 Al Gore, who obviously knows his gig as head of the Global Warming Cult is coming to an end, has Tucked Tail and Gone Into Hiding. Haven’t heard a peep from him since Climategate was exposed. Read It All There’s a lot more! I was going to start this out by saying Unbelievable, but in reality it is what a bunch of us have been saying all along. 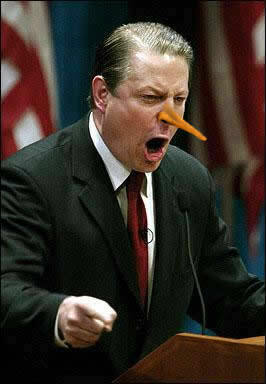 The ‘facts’ are based on lies and now we find out the original data the lies are based on have been destroyed. How inconvenient. Well no sh!t Sherlock? You called it back in the first week of February. But we’ll get to that a bit later. First Gateway Pundit has this. 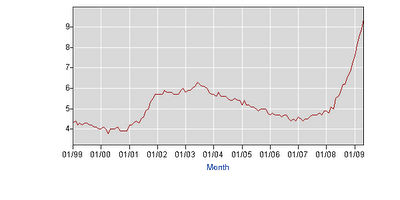 The US has lost 16,000 jobs each day since Democrats passed their non-Stimulus bill, the largest redistribution of wealth from the private sector to government officials in US history, without any House Republican votes. Joe Biden admitted today that the Obama Administration was wrong on the stimulus. Biden tells “Meet the Press” that “everyone guessed wrong” on the impact of the stimulus, economy was worse off than anyone thought. Now to the Biden prediction. Biden was already in the CYA mode and was saying they would be wrong 30 % of the time. How prophetic. On February 6, 2009 I posted this. Watch the video to see Vice President Joe “The Gaffe” Biden say that even if they get everything they want, they will still be wrong about a third of the time. And notice how David Axelrod sidesteps the question from Wolf Blitzer and gives the democratic talking points for the day. I first saw Obama’s press secretary Robert Gibbs use the exact same words this morning to dodge a question from the press. Axelrod even takes it one step further by taking the quote out of context. Here’s the video and the quote. Nowhere in that video does he say he’s talking about the stimulus bill. In fact it’s just the opposite, he says he won’t disclose what they were talking about. Again, watch Axelrod evade the question with the democrat talking points. Hope & Change? Well there’s certainly no Hope if the new administration is going to be wrong a third of the time. And as for Change, just listen to Axelrod pull the same old democratic bullsh!t of changing the subject. Do you still think this bunch of Chicago con-artist thugs are not taking us for the biggest ride in the history of the United States? They have a plan, and we’d better have one too.